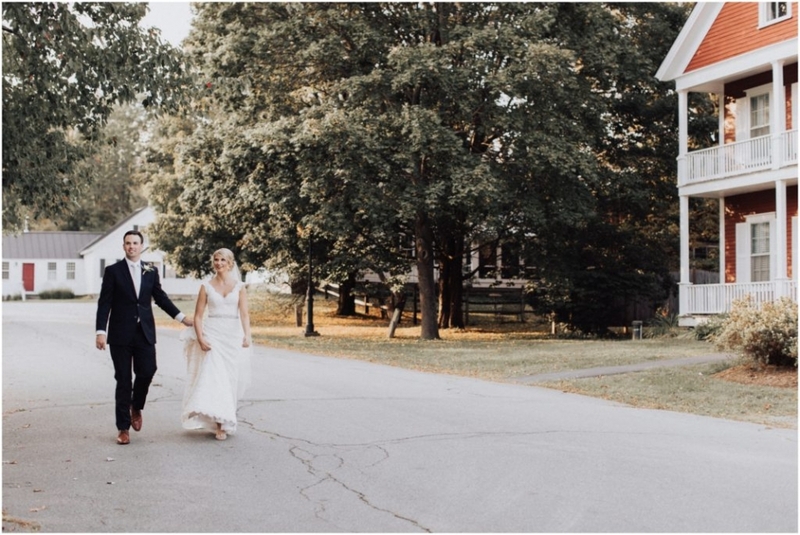 Clarese and Andrew were married on September 16th, with a ceremony and reception at the Grafton Inn in Grafton, Vermont. I spent most of my time prior to the ceremony with Clarese and her bridesmaids and bridesman, while my second shooter, Kathryn O’Kane, was with Andrew and his groomsmen. I did check in with Andrew quickly before the ceremony, too. 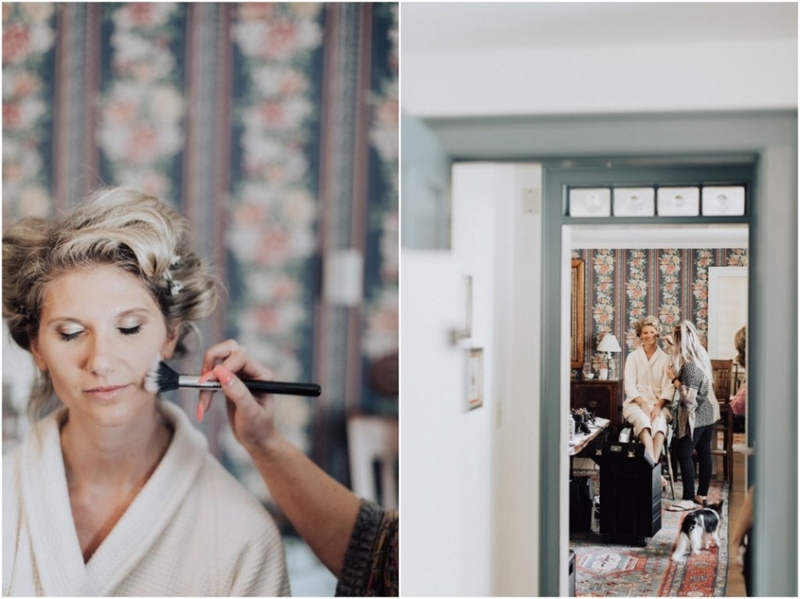 Some of my favorite images came from that “getting ready” period, like the moment I caught Clarese staring at her dress. It was obvious she was lost in the excitement of emotions of the day. I also loved the image of the bridal party helping Clarese get ready. All hands on deck! Once Clarese and Andrew were ready, it was time for the ceremony. 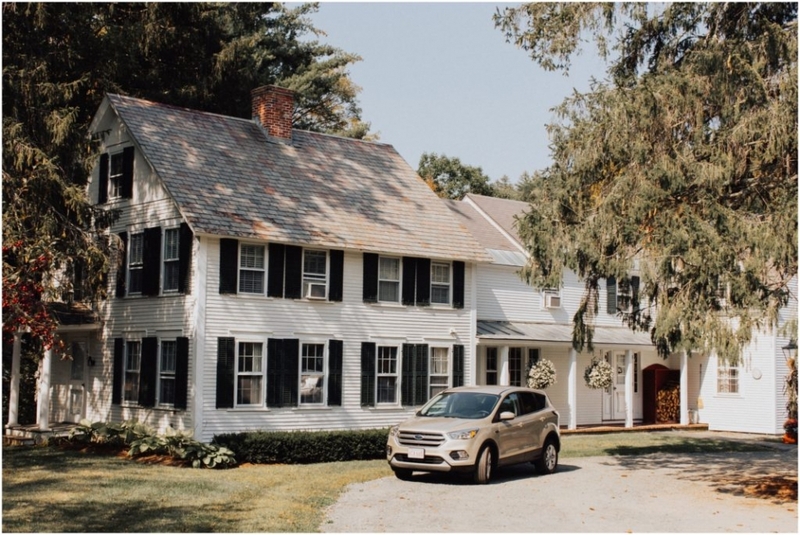 The Grafton Inn had done an amazing job decorating the hallways with swag specific to these two—it had a sort of rustic elegance, especially in the garden. The flowers and floral headpiece worn by the bride were beautiful as well; the entire effect felt nothing short of magical. Of course, no wedding is complete without a few guests of honor. The wedding was officiated by Richard McGonagle, a Hollywood film, video game, and TV actor. And the other guest of honor was the co-ring bearer—their dog. I always love when a couple includes their pets in the ceremony, and their dog looked amazing in a floral crown to match Clarese. After the ceremony, Clarese and Andrew were able to party the night away with their friends and family. At one point, the bride and her maid of honor danced to their favorite song from their childhood—which ended up being my favorite moment of the whole night. Of course, for as much activity as there can always be during a wedding, it’s those quiet moments that mean the most. The bride and groom were able to find a private moment away from the reception that turned out to be another one of my favorite images of the day. There’s something so special when a new husband and wife can take a moment and simply enjoy a moment alone. Clarese & Andrew, thank you for giving me the honor of being your wedding photographer. I wish every wedding experience was like yours: classy people, a rustic location, and a stunning couple. The Dress shop Cristina’s Inc.